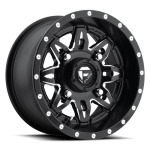 Terminator 34x10x15 mounted on Lethal D567 Fuel Off Road Wheels – $1,510.00 with Free Shipping! Terminator 32x10x14 mounted on Lethal D567 Fuel Off Road Wheels – $1,294.00 with Free Shipping! Terminator 36x10x18 Mounted on HD7 Machined – Big Wheel Kit $1,739.00 with Free Shipping! Terminator 34x10x15 Big Wheel Kit $1,463.00 with Free Shipping! Terminator ATV/UTV Tire-35×10.5×16 $289.95 with Free Shipping! Terminator ATV/UTV Tire-38×10.5×18 $349.95 with Free Shipping! Terminator ATV/UTV Tire-34x10x18 $249.95 with Free Shipping!